Over £850,000 has been made by medieval scholars from the Universities of Durham, Oslo and Vienna and the University of the Highlands and Islands, Centre for Nordic Studies, Orkney, by the Humanities in Europe Research Awards Scheme. This will fund a three-year, international effort, known as The Assembly Project, is designed to explore the role of assemblies or things in the creation, consolidation and maintenance of collective identities, emergent polities and kingdoms in early medieval Northern Europe. Orkney and Shetland are to be research sites for a major project looking at the way the Viking communities governed themselves and strengthened their groups. The oldest Roman coin in Britain has been discovered after sitting on a shelf for a decade. The silver denarius Roman Republic coin dating from 211BC was found during an excavation in 2000 at Hallaton, Leics. But the coin sat in storage at a Leicester museum with 5000 other coins found at the dig, waiting to be dated by experts. The world's first Swiss Army knife' has been revealed - made 1,800 years before its modern counterpart. An intricately designed Roman implement, which dates back to 200AD, it is made from silver but has an iron blade. It features a spoon, fork as well as a retractable spike, spatula and small tooth-pick. Experts believe the spike may have been used by the Romans to extract meat from snails. A jubilee celebration is being held for the 800th anniversary of the birth of Birger jarl, one of Sweden' most important medieval statesmen. 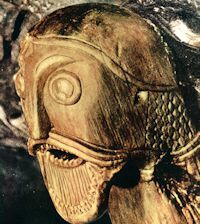 Among the events planned for this year is the excavation of the tomb belonging to his son, King Magnus III. The anniversary of the birth of Birger jarl will be inaugurated on 6 February at Bjälbo in Östergötland, where Birger Jarl was born 800 years ago. More than 130 specially invited guests and media representatives will be participating in vespers in the church, followed by dinner at Stadshotellet in Skänninge. The participants will include representatives of the three regions responsible for the Jubilee – Eastern Götaland, Western Götaland and Stockholm. JUST suppose that Darwin's ideas were only a part of the story of evolution. Suppose that a process he never wrote about, and never even imagined, has been controlling the evolution of life throughout most of the Earth's history. It may sound preposterous, but this is exactly what microbiologist Carl Woese and physicist Nigel Goldenfeld, both at the University of Illinois at Urbana-Champaign, believe. Darwin's explanation of evolution, they argue, even in its sophisticated modern form, applies only to a recent phase of life on Earth. A 2,221-year-old silver coin dug up as part of a hoard is the oldest piece of Roman money ever found in Britain. Dating from 211 BC and found near the Leicestershire village of Hallaton, the coin was uncovered with 5,000 other coins, a helmet and a decorated bowl. Unearthed in 2000 by a metal detectorist, staff at the nearby Harborough Museum have only just realised its significance. Evidence of a dwelling, postholes, pits, ancient hearths and pieces of pottery were found on land in Pembury. South East Water plans to lay a 4.6km (2.9 mile) pipe between Kipping's Cross Service Reservoir and Pembury. Tudor theatregoers enjoyed walnuts, peaches and figs and even the odd oyster, according to the most detailed ever study of a playhouse from the age. A rich variety of seafood was on offer to peckish audience members, including crabs, cockles, mussels, periwinkles and whelks. Sturgeon steaks were also popular with 16th century audiences enjoying plays by Shakespeare and Christopher Marlowe. Did Leonardo paint himself as "Mona Lisa"? The legend of Leonardo da Vinci is shrouded in mystery: How did he die? Are the remains buried in a French chateau really those of the Renaissance master? Was the "Mona Lisa" a self-portrait in disguise? A group of Italian scientists believes the key to solving those puzzles lies with the remains — and they say they are seeking permission from French authorities to dig up the body to conduct carbon and DNA testing. If the skull is intact, the scientists can go to the heart of a question that has fascinated scholars and the public for centuries: the identity of the "Mona Lisa." Recreating a virtual and then physical reconstruction of Leonardo's face, they can compare it with the smiling face in the painting, experts involved in the project told The Associated Press. This summer, in the far reaches of Northern England, an international excavation team gathered at the small town of Binchester, just south of Hadrian’s Wall. Shovels and pickaxes in hand, the group, consisting primarily of students from Stanford and Durham University UK, broke the surface soil on new trenches at one of the UK’s most significant archaeological sites. The site, which has been the focus of archaeological interest for over a hundred years, posed fresh challenges for the team, whose objective was to explore the lifestyles and population of the Roman fort and town at Binchester. This summer’s dig focused on unearthing the Roman barracks at the corner of the fort. DUBLIN’S NORTHSIDE is revealing its own Viking past with the first evidence of 11th-century Dubliners choosing to settle on the north shore of the Liffey emerging in the past week. Clear signs of a late-11th century – ie Viking – house have been found at a site in the Smithfield area owned by the Office of Public Works (OPW). Excavation works, commissioned and funded by the OPW, have been under way at Hammond Lane, off Church Street, since last year. Some 17th- and 18th-century artefacts have been found since then, while evidence of a “substantial Viking house” was uncovered there last week, said excavation director Colm Moriarty. National Museum director Pat Wallace said the great significance of the find lay in the location of the house north of the Liffey. GALLONS of water poured into the historic Beverley Gate excavation after a water main burst in Hull city centre. The problem left businesses in the Princes Quay area without supplies. The 12in-wide pipe burst at about 8am yesterday. The paper, by Professor Joao Zilhao and colleagues, builds on his earlier research which proposed that, south of the Cantabro-Pyrenean mountain chain, Neanderthals survived for several millennia after being replaced or assimilated by anatomically modern humans everywhere else in Europe. Although the reality of this 'Ebro Frontier' pattern has gained wide acceptance since it was first proposed by Professor Zilhao some twenty years ago, two important aspects of the model have remained the object of unresolved controversy: the exact duration of the frontier; and the causes underlying the eventual disappearance of those refugial Neanderthal populations (ecology and climate, or competition with modern human immigrants). The famous Rosslyn Chapel in Scotland has been photographed in intricate detail using cutting edge digital technology. The project to capture details of the 15th Century building was developed by Historic Scotland and Digital Design Studio at the Glasgow School of Art. Their aim is to survey and interpret heritage structures, creating the definitive 3D record of the architecture down to the millimetre. Terrestrial laser scanning, in combination with other digital technologies, is an extremely effective method of precisely documenting an object, building or landscape. Orkney and Shetland are set to become research sites for a major project looking at the way Viking communities governed themselves and strengthened their groups. Around £118,000 has been awarded to the Centre for Nordic Studies for research on administrative organisation and Norse “things” — governing assembly sites — in areas of Viking settlement and colonisation. there is one Greek pot the eye might easily flit past. have happened: there's a noticeably smudged, discoloured patch around the groin area. Could there be another gold hoard near Tamworth? FIFTY pieces of gold have been found just 10 miles from where the Staffordshire hoard was discovered – but their origins may remain forever a mystery. James Stanfield (67) unearthed the gold in a Kingsbury field, but experts have been unable to date it accurately. Mr Stanfield told the Herald: "The finding of the Staffordshire hoard just 10 miles away has just made me want to find out more. "I just want someone to help me investigate – and if it does turn out that it is just scrap gold, then I have not lost anything, but if it is something important connected to the hoard, then the whole country will gain." The Viking Society is holding its annual student conference in London on 13 February. Everybody is welcome to attend–whether a student or not or a Society member or not. The theme of this year’s conference is Skaldic Poetry. As the first truly international trade network, the Silk Road was constructed as a series of trackways stretching out across the vast deserts and mountains and waterways of Asia. Reaching out from the Han Dynasty of China, first explorers and then caravans connected Southeast Asia, the Indian subcontinent, the steppes of Siberia, the mountains of Eurasia and the western capitals of Rome and Alexander's Europe. It's breathtaking to think about. Part of an ancient Roman law code previously thought to have been lost forever has been discovered by researchers at University College London's Department of History. Simon Corcoran and Benet Salway made the breakthrough after piecing together 17 fragments of previously incomprehensible parchment. The fragments were being studied at UCL as part of the Arts & Humanities Research Council-funded "Projet Volterra" -- a ten year study of Roman law in its full social, legal and political context. India is rich in its many cultures and in the depth of its cultural traditions. Home to one of the world’s great original civilizations, India is a place where the ancient and the modern coexist within a single fabric. Remarkable standing structures from deep antiquity are still in use. This film takes the audience on a visual and auditory tour of India, from ancient empires to modern cities and from the Himalayas to the Indian Ocean. Here, millennia-old traditions express themselves vibrantly today in the visual arts, drama, music, and dance. ARCHAEOLOGISTS could be called in before a £148 million university project goes ahead in Aberdeen. The Robert Gordon University wants to build a new base for engineering, architecture and the arts and sciences in Aberdeen. The eight-acre site earmarked is next to the university’s current campus at Garthdee in Aberdeen. Some of the most historic locations in the North-West can now be explored with the click of a mouse on Google’s Street View mapping. 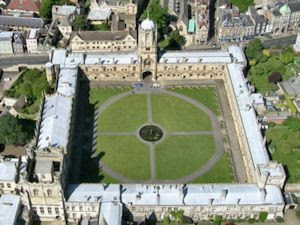 English Heritage’s most famous sites, will be available for people to explore on the site from Thursday. Over 20 historic locations across the UK — including castles, landscapes and country houses — have been scanned using a panoramic camera, bolted to the back of a tricycle, and added to Google’s online mapping service. Authorities in Cyprus have smashed a smuggling ring, recovering dozens of ancient artefacts it planned to sell for €11 million (£15.5m). In what is believed to be the largest antiquities theft case of its kind in the Cyprus's history, police seized objects dating back thousands of years from homes, storage sheds and vehicles where they were being hidden. The surgeon was dressed in a goat or sheep skin and used a sharpened stone to amputate the arm of his patient. The operating theatre was not exactly Harley Street — more probably a wooden shelter — but the intervention was a success, and it has shed light on the medical talents of our Stone Age ancestors. Scientists unearthed evidence of the surgery during work on an Early Neolithic tomb discovered at Buthiers-Boulancourt, about 40 miles (65km) south of Paris. They found that a remarkable degree of medical knowledge had been used to remove the left forearm of an elderly man about 6,900 years ago — suggesting that the true Flintstones were more developed than previously thought. The Book of Kells and similarly illustrated manuscripts of seventh- and eighth-century England and Ireland are known for their entrancingly intricate artwork -- geometric designs so precise that in some places they contain lines less than half a millimeter apart and nearly perfectly reproduced in repeating patterns -- leading a later scholar to call them "works not of men, but of angels." But behind the artwork's precision is a mystery: How did illustrators refine the details, which rival the precision of engravings on a modern dollar bill, centuries before microscope lenses were invented? Legend tells of secret passageways under the streets of Norwich where unspeakable deeds are said to have to taken place. According to rumours and folklore, a network of underground tunnels link many of the city's most important historic buildings - but just what is the truth behind them? A city heritage organisation wants to hear stories and memories about subterranean Norwich and hopes to investigate as many as possible. For almost four centuries scholars have sought the headwaters of the Aqua ­Traiana, a stone channel which carried spring water down to Rome from near Lake Bracciano. Now, two British film-makers say they have beaten the archaeologists in discovering the source of the water feeding the ancient city's greatest aqueducts. While researching films on Roman aqueducts, Mike and Ted O'Neill got access last year to a series of reservoirs and tunnels below a long-abandoned medieval chapel near the town of Bracciano. POP star Robbie Williams has been asked to donate part of his huge fortune to help save the Staffordshire Hoard for the Midlands, the Sunday Mercury can reveal. The Stoke-on-Trent singer is on a secret list of celebrities and millionaires being contacted in a bid to raise £3.3 million to keep the Anglo-Saxon treasure in the region. A pair of British amateur archaeologists believe they have found the hidden source of a Roman aqueduct 1,900 years after it was inaugurated by the Emperor Trajan. The underground spring lies behind a concealed door beneath an abandoned 13th century church on the shores of Lake Bracciano, 35 miles north of Rome. Exploration of the site has shown that water percolating through volcanic bedrock was collected in underground grottoes and chambers and fed into a subterranean aqueduct, the Aqua Traiana, which took it all the way to the imperial capital. Work on restoring an historic water pump near the remains of a canal in Cardiff is due to start within weeks. Historic monuments body Cadw and Cardiff Council have agreed to fund the project involving Melingriffith water pump and wheel in Whitchurch. A £3.74 million lottery bid to transform part of west Cumbria into a globally-recognised heritage site has secured an initial stamp of approval. The first round pass for the Roman Maryport project means funding is more than likely to be won, enabling Maryport to secure a real presence on the Hadrian’s Wall tourism route. The bid to the Heritage Lottery Fund is part of an £11m project to turn a historic part of the town into a major tourism attraction and museum. It centres on Camp Farm at Maryport, the site of a Roman fort and the largest intact civil settlement – which would have been home to more than 500 people – on Hadrian’s Wall. Google have teamed up with the National Trust to take Steet View off-road in the UK. The Street View service, launched last March, now includes 19 specifically chosen castles, country houses and outstanding landscapes viewable in 360-degree images. In Wiltshire, Street View ploughs into a field to take a peek at the Avebury Stones, while in Warwickshire it wanders around the bountiful garden path of the Baddesley Clinton manor house. In Cambridgeshire Street View goes on a long, meandering walk around Wicken Fen, bumping into fellow ramblers as it goes. CONSTRUCTION students experienced Roman building techniques when they visited two key sites in Chester as part of a drive to raise awareness of heritage skills. Ten students from West Cheshire College were shown the Amphitheatre and the site of a city walls collapse. The students saw first hand just how traditional skills should be applied in historic environments. Shipworms, commonly referred to as 'termites of the sea', are launching an attack on the Baltic Sea, putting large maritime archaeological sites at risk. Researchers from the University of Gothenburg in Sweden, currently participating in the EU-funded WRECKPROTECT project to investigate which artefacts are at risk, speculate that climate change is responsible for this threatening tide of shipworms. The WRECKPROTECT ('Strategies for the protection of shipwrecks in the Baltic Sea against forthcoming attack by wood degrading marine borers. A synthesis and information project based on the effects of climatic changes') project has received over EUR 750,000 in financial support under the 'Environment' Theme of the Seventh Framework Programme. WILLIAM Snawsell was an important man in 15th century York, even though the folk of the city had a lot to answer for when it came to the pronunciation of his surname. A wealthy Stonegate goldsmith and city councillor, who served both as Sheriff of York and Lord Mayor, his family originally hailed from Snowshill, in Gloucestershire. They brought the name with them when they moved up north. But Yorkshiremen had trouble pronouncing it, hence the corruption to Snawsell. “In fact, it often comes out as Snozzle,” says Dr Peter Addyman, of the York Archaeological Trust. The ancient Bru na Boinne site around Newgrange may lose its World Heritage status if the proposed M2 motorway goes ahead, it is claimed. The National Monuments Forum warned if changes are not made to the new motorway plans, the area near the Boyne in Co Meath is likely to lose recognition from the United Nations Educational, Scientific and Cultural Organisation (Unesco). Dr George Eogan, Professor Emeritus of Archaeology at University College Dublin (UCD), said the new motorway is too close to the monuments and will have a considerable impact on the surrounding landscape. After years of planning and months of moving, the state-of-the-art Hull History Centre opens on Monday, providing historians and researchers with a brand new archive. The centre will bring together the vast collections held by the Hull City Archives, the Local Studies Library and the University of Hull archives. That's 28,000 boxes of material, plus books and volumes, document bundles, pamphlets, photographs, paintings and maps - enough to cross the Humber Bridge four times if put end to end. A 1,700 year-old ship wreck could be returned to Guernsey if funding can be found, after undergoing preservation work since it was raised in 1985. The Asterix was found by local diver Richard Keen in St Peter Port harbour in 1982, where it had lay since 280. The timbers were taken to the Mary Rose Trust in Portsmouth for immersion in wax and freeze drying. Take a walk on the banks of the River Alyn from Bradley to Llay, what we call today the Caer Alyn project area, and you will see few glimpses of its former glory. Gone are the Iron Age people who built the Caer Alyn hillfort and Watts Dyke, and gone are the wheels that drove Medieval mill machines. Today, we're using the landscape to tell the story of the past. The Caer Alyn project started with just one test pit as part of the Channel 4 TV programme, Time Team's Big Dig in 2002. Since then the Caer Alyn community archaeological heritage project has gone from strength to strength. ONE of the most historic locations in East Anglia can now be explored with the click of a mouse on Google's Street View mapping. English Heritage's most famous sites, will be available for people to explore on the site from today. Over 20 historic locations across the UK - including castles, landscapes and country houses - have been scanned using a panoramic camera, bolted to the back of a tricycle, and added to Google's online mapping service. A project aimed at conserving and interpreting a unique series of medieval church wall paintings has been short-listed for a prestigious British national award. The Lakenheath Wall Painting Project, which marks its first anniversary this month, has been selected as one of the finalists in the ‘Awards for the Presentation of Heritage Research 2010’. These annual awards, sponsored by English Heritage, aim to encourage researchers to present their research on British and Irish archaeology, historic buildings and heritage conservation, to the wider public. Thank goodness she is back. After a thousand years, Princess Eadgyth has returned to Mercia to have her teeth examined, after being entombed in Magdeburg in Germany. The nation's breast should burst with pride, and grants pour into the lap of Bristol university archaeology department. Britons have apparently been pining for centuries under the shame of Eadgyth's sojourn abroad, exiled in AD929 by her cruel brother, Athelstan, to become queen to the Holy Roman Emperor, Otto. It was the first great act of European diplomacy, as if Margaret Thatcher had shipped her son, Mark, as a peace offering to Mitterand's daughter. But will the princess return after dentistry to Magdeburg? THE proposed route of the Slane bypass in Co Meath will run just 500 metres from the edge of the ancient Newgrange complex. The National Roads Authority (NRA) yesterday released an environmental impact study for the route which shows that although it skirts the perimeter of the Bru na Boinne complex, a UNESCO World Heritage Site, it would be almost 3km from the famed burial chamber at Newgrange. Planning permission for the 3.5km dual carriageway has been sought from An Bord Pleanala, and the NRA said the proposed route would have the "least impact" on the archaeology and heritage of the area. David Dimbleby charts a landmark history of Britain's greatest art and artefacts over 2,000 years, in Seven Ages Of Britain. The seven-part series of 60-minute programmes, shot in HD, begins at 9.00pm on Sunday 31 January 2010. Produced in partnership with The Open University, Seven Ages of Britain looks at our extraordinary past through the Arts - both as treasures that have often played a decisive part in events and as marvels of their age. Treasures from museums in Devizes and Avebury have been selected among the 100 objects highlighted in the BBC’s current A History of the World. Ten of the 100 are in Wiltshire and include a neolithic pot from the Alexander Keiller Museum in Avebury and the famous Bush Barrow gold lozenge in Wiltshire Heritage Museum in Devizes. The pot was excavated by marmalade heir Alexander Keiller at Windmill Hill, Avebury, in the 1920s. A 14th century East Anglian illuminated manuscript, Isaac Newton's notebook and Captain Oates's sleeping bag are just three of the objects in a new selection of artefacts that tell a history of Cambridgeshire and its place in the world. MUSEUMS across Cambridgeshire have joined forces with the BBC to choose 10 objects that tell a history of the county and its place in the world. The list is part of the wider A History of the World project, formed out of a unique partnership between the BBC, the British Museum and 350 museums and institutions across the country. World War II affected everyone in the New Forest - troops were stationed here and evacuees arrived from the cities, while farmers and locals had to pull together to help the war effort on the home front. Although there are numerous records of the military work in the area, details of what life was like for the people in the forest between 1939 and 1945 are more fragmented. Before it is too late the park authority wants to capture those experiences, collect documents and photographs, and record sites to build up a complete picture of the New Forest during the WWII years. The popular historian David Starkey is leading a campaign to keep the largest-ever discovery of Anglo-Saxon treasure in England’s Midlands, where it was found last year. If £3.3 million (Dh20m) is not raised in three months, the hoard could be sold on the open market – and broken up. The UK’s minister of culture, Patricia Hodge, said she was “confident” the money could be found and “aware of how much the treasure had captured the imagination of the local people”. This, of course, is all happening in the same country that “owns” Greece’s Parthenon Marbles (famously known as the Elgin Marbles), Egypt’s Rosetta Stone and Iran’s Cyrus Cylinder. Der Fachgebiet Klassische Archäologie der Technischen Universität Darmstadt lädt zum 2. interdisziplinären Doktorandenkolloquium zu antiken Kulturen im September diesen Jahres ein. A FRESH horde of Vikings have descended on York thanks to a £1 million refurbishment to the Jorvik Centre. The life-like animatronics will be unveiled at the centre’s relaunch on February 13. The six “Vikings” have travelled 4,000 miles from Life Formations in Ohio, in the USA. Mel Gibson is to follow up Braveheart with a film about the Vikings, starring Leonardo DiCaprio and scripted in a mixture of Old English and Norse. The Hollywood actor and director was panned by scholars for his 1995 biopic of William Wallace, amid claims it contained major historical inaccuracies. However, it went on to win five Oscars, including best picture, and took $200 million at the box office. Gibson's fascination with British history has led him to develop his new film, which will chronicle the Viking raids on England and Scotland in the ninth century. ORGANISERS hope this year's Viking Festival will be the biggest and best ever – and it will start with the official reopening of the new Jorvik Centre. Marking the 25th anniversary of the Viking Centre, in Coppergate, which is currently closed while it prepares for a relaunch, the festival will be held from February 13 to 25 and coincide with half-term. The Coppergate Camp is set to be the epicentre of Viking activity, with other Viking escapades scheduled for elsewhere in York. A SKELETON buried in a shallow grave has been uncovered by builders carrying out work on the refurbishment of the Yorkshire Museum. The bones were found as the workmen were improving the York museum’s drains. Archaeologists carefully removed the bones from the site in Museum Gardens and are now awaiting permission for them to be taken away for analysis. Historical items discovered around the county by amateur metal detector enthusiasts were declared to be treasure at an inquest in Norwich yesterday. The inquest heard that a medieval silver buckle was found in Postwick, a silver hawking vervel in Great Fransham and an Anglo-Saxon pyramidal mount on Happisburgh beach, all by separate detectors. By far the oldest piece was the pyramidal mount, which Dr Sonja Marzinzik of the British Museum said would have been used to secure a sword strap around the waist. A nail-pierced skull believed to belong to the legendary medieval pirate Klaus Störtebeker has been stolen from a museum in the northern German port city of Hamburg, authorities said Tuesday. The skull was stolen from the Museum for Hamburg History on January 9, but the museum didn't immediately announce the theft so as not to hamper the investigation. It wasn't clear how the exhibit was stolen, or why. IMPORTANT parts of Christchurch’s rich heritage could be lying in a landfill site in the New Forest, says a local archaeological group. The Christchurch Antiquarians (TCA), who have been monitoring timbers recovered from the site of the King’s Arms housing development in Castle Street, have discovered they date back to 1160AD, around the time well-known local landmark Constable’s House was built. When the re-development of the King’s Arms, a 200-year-old former coaching inn, was given the go-ahead in 2007, the Antiquarians lobbied Christchurch Borough Council to include an archaeological watching brief in the planning conditions. Time Team-style technology which can map what is buried underground is being used by the Environment Agency to search for illegally dumped waste. The agency said the equipment, similar to the kit used by the Channel 4 archaeology programme, enables investigators to build up a picture of what lies under the ground. The EA's crime team is using the technology to track waste that has been illegally buried - for example by people running an illegal dump who have been ordered to dispose of the rubbish and have instead just ditched it underground. STARVED, diseased and suffering the effects of hard labour - a Roman skeleton has revealed the difficult life faced by residents in Weston nearly 2,000 years ago. Forensic archaeologists believe the skeleton, found in a dig at Weston College's Knightstone campus last year, belonged to a slender man aged between 36 and 45. Tests reveal corroded spinal and hip joints and inflamed shins, which experts believe point to a tough life of hard labour. A hoard of Iron Age jewellery found by a treasure hunter in Stirlingshire has gone on display in Edinburgh. The four solid gold neck ornaments, or torcs, could be more than 2,000 years old. They were found in a field by safari park manager David Booth, who was using a metal detector for the first time. How did the bones of two ancient Egyptian mummies -- one human, the other feline -- end up in a bottle that supposedly contained the remains of Joan of Arc? The so-called "relics of Joan of Arc," overseen by the Archbishop of Tours in Chinon, France, do not contain the charred remains of the Catholic saint. Rather, the artifacts consist of a mummified cat leg bone and human rib, both dating to the 6th-3rd century B.C., according to a new study. Remains of one of the earliest members of the English royal family may have been unearthed in a German cathedral, a Bristol University research team says. They believe a near-complete female skeleton, aged 30 to 40, found wrapped in silk in a lead coffin in Magdeburg Cathedral is that of Queen Eadgyth. The granddaughter of Alfred the Great, she married Otto I, Holy Roman Emperor, in 929. She died 17 years later, at 36. Global warming putting sunken treasures at risk? The dreaded wood-eating shipworm is invading northern Europe's Baltic Sea. The animal threatens to munch through thousands of Viking vessels and other historic shipwrecks, scientists warn. The sea's cool, brackish waters have for centuries protected the wrecks from the wormlike mollusks. But now global warming is making the Baltic Sea (map) more comfortable for the critters, a new study speculates. Shipworms, which can obliterate a wreck in ten years, have already attacked about a hundred sunken vessels dating back to the 13th century in Baltic waters off Germany, Denmark, and Sweden, reported study co-author Christin Appelqvist. A 51-year-old man from West Sussex has been arrested by police investigating the alleged plundering of valuable archaeological artefacts. A large volume of items of "considerable antiquity" were seized at a house by officers who executed a search warrant in Barnham, near Chichester, West Sussex. Police said some of the artefacts were suspected of being stolen by "nighthawking" from an undisclosed site in the Chichester area and elsewhere recently. Most men in Britain are descended from the first farmers to migrate across Europe from the Near East 10,000 years ago, scientists say. Ancient farmers left their genetic mark on modern males by breeding more successfully than indigenous hunter-gatherer men as they made their way west, a study has found. AN ANGLO-SAXON helmet, a Viking arm ring and a Second World War Halifax Bomber are just some of the artefacts that tell the story of North Yorkshire’s history, according to a new project. Ten items of varying shapes and sizes have been selected to outline the history of the county as part of a national project entitled A History Of The World. It was developed by the British Museum, 350 museums across the country and the BBC. Wessex Archaeology is seeking to appoint a Regional Manager to lead, develop and manage its regional operation based in Maidstone, Kent. The Regional Manager will be tasked with developing and expanding the existing and future services offered from Wessex’s Maidstone Office in co-ordination with other Wessex regional centres and central services at Salisbury. Find out more about this post. Archaeologists have begun the search for an ancient civilization in southern Spain that some believe could help pinpoint the legendary lost city of Atlantis. A team of researchers from Spain's Higher Council for Scientific Study (CSIC) are examining a marshy area of Andalusian parkland to find evidence of a 3,000-year-old settlement. They believe that Tartessos, a wealthy civilization in southern Iberia that predates the Phoenicians, may have had its capital in the heart of what is now the Donana national park. Evidence for the world’s earliest seafaring has emerged from an archaeological survey in Crete. Tools of Lower Palaeolithic type, at least 130,000 years old, have been found on the Greek island, which has been isolated by the Mediterranean Sea for at least the past five million years, so that any human ancestors must have arrived by boat. At this date, they would have been of a pre-modern species: the earliest Neanderthalers or even Homo heidelbergensis, the species to which Boxgrove Man belonged, are among possible contenders, but no such remains have so far been found on Crete. They put the number at 18,500 people, but this refers only to breeding individuals, the “effective” population. The actual population would have been about three times as large, or 55,500. Oak planks found near a school may be from the cargo of a 14th Century log boat discovered nearby but later lost. Workers digging a drainage ditch at Acharacle Primary School on the Ardnamurchan Peninsula uncovered the five pieces of wood last year. Archaeologists suggested they might be the boat's cargo, or a cache of timber kept in a peat bog to stop them drying out before being worked on later. A priceless ancient Roman statue has been discovered being used to decorate a flower bed in a housing estate. The headless sculpture of an emperor is believed to have been stolen some time in the 1930s and then used during the construction of a posh private square in Naples, Italy. It is thought to date back to the 2nd century BC and may once have stood in the grand gardens of a local palace. Marcelo Magnasco, Rockefeller University: "Is an Eclipse Described in Homer's Odyssey?" Excavations at the Sanctuary of Zeus atop Greece’s Mount Lykaion have revealed that ritual activities occurred there for roughly 1,500 years, from the height of classic Greek civilization around 3,400 years ago until just before Roman conquest in 146. “We may have the first documented mountaintop shrine from the ancient Greek world,” says project director David Romano of the University of Pennsylvania in Philadelphia. Ritual ceremonies were conducted in a part of the open-air sanctuary called the ash altar of Zeus. It now consists of a mound of ash, stone and various inscribed dedications to Zeus, the head god of Greek mythology. Romano’s team has found no evidence of a temple or structures of any kind on Mount Lykaion. HISTORIC Halesowen Abbey could soon have a visitors centre if a controversial planning application gets the go-ahead. English Heritage, Dudley Council, The Abbey Trust and the land’s owner are discussing plans to convert the farm buildings in to six homes and build a visitor centre. However, the barns are on land where there is believed to be a rich seam of artefacts buried and conservationists are eager to ensure any construction work will not disturb the hidden treasures. The use of mobile devices for Web browsing is increasing. However, there are problems. Many sites (this one is an example) are just not correctly formatted for viewing on the small screen of a mobile device. For this reason, we have now created a new web page to display this blog for mobile users. You can find it at: http://www.archaeology.eu.com/weblog/mobile.html , or from the permanent link in the sidebar. As you will see if you look at this page, this is simply a basic view of the last 10 news entries in a format that is correct for a pocket PC. Unfortunately, things are not quite that simple! The page requires Java implementation, which is not standard with Internet Explorer on PPCs. Even with Java, I.E. is not the ideal browser if you wish to visit the links to news items, as these will be standard web pages. It is best to use one of the specialized PPC web browsers – I would recommend either Opera Mobile (http://www.opera.com/mobile/) or Skyfire (http://www.skyfire.com/). Both are free and easy to use. THE Gazette has helped secure a major victory just three days after joining the campaign to save Colchester’s Roman circus. Developer Taylor Wimpey has agreed a month’s extension to the deadline to find £750,000 to create a heritage centre on the site of the ancient arena’s starting gates. Bosses have also pledged £10,000 towards the cause. King John's Palace, an English medieval ruin dating back to the twelfth century has undergone repairs worth £100,000 to stop it from collapsing. Specialist craftsmen have finished work on the former royal palace in Kings Clipstone, Nottinghamshire, which was built around 1164. Conservation experts have uncovered historic hidden text inscribed on the wall of Salisbury Cathedral. The text in gothic lettering, thought to be more than 350 years old, was found behind the Henry Hyde monument. Conservator Tom Beattie said: "We are used to uncovering information about the fabric of the building as we go about our daily work. It took nearly 30 years and a lot of heated debate, but a team of researchers has finally produced what archaeologists, geologists, and other scientists have long been waiting for: a calibration curve that allows radiocarbon dating to achieve its full potential. The new curve, which now extends back 50,000 years, could help researchers work out key questions in human evolution, such as the effect of climate change on human adaptation and migrations. The basic principle of radiocarbon dating is fairly simple. Plants and animals absorb trace amounts of radioactive carbon-14 from carbon dioxide (CO2) in the atmosphere while they are alive but stop doing so when they die. The steady decay of carbon-14 from archaeological and geological samples ticks away like a clock, and the amount of radioactive carbon left in the sample gives a reproducible indication of how old it is. Most experts consider the technical limit of radiocarbon dating to be about 50,000 years, after which there is too little carbon-14 left to measure accurately. Archaeologists have made what they described as a "chance discovery" of a stone arrowhead in the garden of a ruined schoolhouse in Sutherland. Glasgow University Archaeological Research Division (Guard) said it may have been dropped by a hunter. Excavations at the Sanctuary of Zeus atop Greece's Mount Lykaion have revealed that ritual activities occurred there for roughly 1,500 years, from the height of classic Greek civilization around 3,400 years ago until just before Roman conquest in 146. "We may have the first documented mountaintop shrine from the ancient Greek world," says project director David Romano of the University of Pennsylvania in Philadelphia. On February 19th and 20th 2010, the Society will be hosting its annual postgraduate colloquium conjunction with the University of Birmingham research and discuss their findings over a two-day conference. The conference is designed as a forum for informing others about your research, as well providing a research environment within which students can develop ideas and make new contacts. Late medieval walls and the foundations of what appears to be a military spur, which formed part of the outer defences at Edinburgh Castle, have been found. The defences, which date from at least the 16th Century, were discovered by archaeologists during foundation works for new Military Tattoo stands. Service trenches were opened which revealed two structures about 2m beneath the esplanade. AN archaeological excavation planned for Verulamium Park has been postponed because of bad weather. The dig was supposed to start on January 4 before a planning application to develop a leisure centre on the site of existing Westminster Lodge is submitted to St Albans District Council. If it turns out the Neanderthals weren't numbskulls, who can we look down on? These are about the only two archaeological truths anyone knows, and they've been blown apart in the same week: Neanderthal man was not stupid; and Egyptian pyramids were not built by slaves. It's hard to think of a historical revelation that would have so much impact: Henry VIII not the instigator but actually the victim of divorce proceedings; Richard I did not have the heart of a lion, but a small sheep. A public appeal was launched today to raise £3.3m in three months to buy the Staffordshire hoard, one of the most jaw-dropping of archeological finds or, as the historian David Starkey called it, 5.5 kilos of Anglo-Saxon "gangland bling". Politicians and archaeologists joined Starkey in Birmingham to launch a ­campaign to raise the money and keep the hoard, the largest and most significant find of Anglo-Saxon gold, in the Midlands. Failure to raise the money was almost unthinkable, said Starkey. Francis Terry is backing plans to take the fate of a site containing Britain’s largest Roman building remains out of the hands of housebuilder Taylor Wimpey. The locally based, classical architect has come up with an alternative ‘grand vision’ for the former garrison in Colchester in support of a campaign led by concerned local archaeologists. A medieval church in Thetford, England, needs £40,000 for urgent repairs and local officials are attempting to force its owner to pay for it. The Church of St Mary the Less, in Old Bury Road, Thetford, has been not been used since 1975. Its ownership has changed several times, while the building deteriorated. A large section of roof over the north aisle collapsed just before Christmas. This documentary highlights Cappadocia, the high plateau region of Central Anatolia in Turkey’s heartland. Settled for over 8 millennia, this region features dramatic volcanic landscapes and many caves used in ancient times. The vast array of heritage sites includes Göreme with its rock houses and open air museum, Medieval fortresses, Christian underground cities of the 7th and 8th centuries, and fortified caravansarais along the silk road. Cappadocia illustrates the rich history of early Christians, Sufi mystics, and the Seljuk Turk empire. Using texts and images, a University of Arkansas researcher has for the first time reconstructed the time when the use of porticos -- roof-covered structures supported by columns -- gave way to loggias, or recessed porticos. In an article in the Journal of the Society of Architectural Historians, architecture professor Kim Sexton accounts for the time between the 7th and 12th centuries when there are no surviving porticos. In European history, loggias represented more than just interesting architectural features. They also served important cultural functions. Recently at Discovery News I told you about Neanderthal-made shell jewelry that suggests these hominids were as smart and creative as modern humans were at the time the jewelry was made, 50,000 years ago. University of Bristol archaeologist Joao Zilhao, who led the project, told me about some other interesting discoveries he and his team made about Neanderthals. One concerns how they harvested shellfish for consumption. "The Neanderthals harvested live mollusks on the rocks for eating, transported them to their living sites in wet algae bundles, and discarded their shells after eating the flesh," he said. "They did this with limpets, mussels and topshells." It seems we have all been guilty of defaming Neanderthal man. Research by a team based at the University of Bristol suggests that, far from being a lumbering, witless no-hoper, he was capable, 50,000 years ago, of producing forms of cosmetic adornment and even of primitive jewellery. In 1985, finds in Murcia, Spain, had suggested that this might be so; and now an expedition led by Professor João Zilhão of Bristol has uncovered a shell which shows "a symbolic dimension in behaviour and thinking that cannot be denied". Historian Dr David Starkey has backed a campaign to keep the UK's largest hoard of Anglo-Saxon gold in the region it was unearthed. The appeal, launched at Birmingham Museum and Art Gallery, aims to raise £3.3m to buy the Staffordshire Hoard which was discovered last July. Up to 1,500 artefacts were found in a field near Lichfield by metal detecting enthusiast Terry Herbert. Historian Dr David Starkey today launched a fundraising drive to keep the largest ever hoard of Anglo-Saxon gold in the region where it was discovered. The campaign, being launched at Birmingham Museum and Art Gallery, aims to raise £3.3 million to acquire the Staffordshire Hoard, which was found by a metal detectorist last summer. If the campaign is successful, the Hoard would be jointly acquired by both the Birmingham museum and the Potteries Museum and Art Gallery in Stoke-on-Trent. Centuries ago, come September, galleys would be rowed into Mġarr ix-Xini harbour and loaded with amphorae filled with wine that had been pressed in the valley. Winemakers would fill shallow basins with grapes and, once pressed, the juice would flow through holes and channels into a deeper collecting holder, all carved into the rock. These wine presses, said to date back to 500 BC, can still be seen embedded in the Gozitan valley and are being studied and documented in a project carried out by the Superintendence of Cultural Heritage and the Sannat and Xewkija local councils with the support of Camilleri Wines. The wind whipped the waves of Scapa Flow into streamers of white froth, and the swell built to a stomach-churning height. An announcement came over the Tannoy – our ferry would just make it in to Stromness, but its return journey to Scrabster would be cancelled. The other passengers took in this information without a murmur. Orcadians know that they are cut off, that they live in a world apart. The gusts blowing in off the bay gathered momentum, and the roar of the waves against the shore was lost in the hum of the engines. Across the water the oil terminal on the isle of Flotta sparkled in halogen blasts of orange and yellow light. The traffic-choked roads still roaring past Stonehenge in Wiltshire have earned the world's most famous prehistoric monument a place on a list of the world's most threatened sites. The government's decision to abandon, on cost grounds, a plan to bury roads around Stonehenge in a tunnel underground and the consequent collapse of the plans for a new visitor centre, have put the site on the Threatened Wonders list of Wanderlust magazine, along with the 4x4-scarred Wadi Rum in Jordan, and the tourist-eroded paths and steps of the great Inca site at Machu Picchu in Peru. Work on a new Roman gallery at Carlisle’s Tullie House Museum should start at the end of this month. Displays in the Millennium Gallery under Castle Way will be dismantled to make way for an exhibition on life in Carlisle 2,000 years ago. It is due to open in spring 2011 and will, the city council hopes, attract 50,000 extra visitors a year to Tullie House. Plans are taking shape for the CBA Winter General Meeting in 2010. The event will be held at the British Academy in London on 22 February, and will this year form part of a day dedicated to marine archaeology. The day will be led by George Lambrick, Chair of the Nautical Archaeology Society, with a keynote address given by Nic Flemming of the National Oceanography Centre, University of Southampton, and talks on subjects such as developments in submerged prehistoric landscape modelling, how to involve people in marine archaeology, and the archaeology of the Severn Estuary. Registration will commence at 10.30am with the programme starting at 11.00am and finishing late afternoon. The formal CBA business meeting will be held from midday to c12.45pm and is free to CBA members. There is a small charge for the day as a whole (£10 for CBA members and £20­ for non-CBA members). A full programme, including directions to the British Academy, will be available from our website, or by telephoning us at the address below. Museums and English Heritage unite for Stonehenge show to "draw on all the senses"
A plan to actively encourage Stonehenge visitors to understand the wider archaeological landscape of Wiltshire through surrounding museum collections has been given the go-ahead. The new Stonehenge visitor centre at Airman’s Corner (above) will tell the story of the stones in a dedicated exhibition space after English Heritage, the Salisbury and South Wiltshire Museum and the Wiltshire Heritage Museum agreed a joint project under a Memorandum of Understanding today (January 11). Important artefacts including Wiltshire Heritage’s Bush Barrow Treasures – the Bronze Age burial described as "Britain's first crown jewels" when it was found at Stonehenge in 2009 – will be loaned to English Heritage for the dedicated display, which aims to entice visitors to explore the wider region as well as the famous stones. Committee of Public Accounts publishes report examining the actions taken to achieve the Department for Culture, Media and Sport's objective to get more people interested in heritage. An iconic ancient monument uncovered by the tides on a Norfolk beach will soon be complete for the first time in a decade. Scientists have been studying and preserving the Seahenge timber circle since it was excavated at Holme, near Hunstanton, in early 1999. There were protests after archaeologists decided to remove the upturned oak stump and ring of 55 posts from the sands. For decades, our low-browed Neanderthal cousins have been portrayed as dim savages whose idea of seduction was a whispered "ug" and a blow to the cranium. But analysis of pierced, hand-coloured shells and lumps of pigment from two caves in south-east Spain suggests the cavepeople who stomped around Europe 50,000 years ago were far more intelligent – and cosmetically minded – than previously thought. The widespread view of Neanderthals as cognitively inferior to early modern humans is challenged by new research from the University of Bristol published today in Proceedings of the National Academy of Sciences. Alexander's men wore linothorax, a highly effective type of body armor created by laminating together layers of linen, research finds. A Kevlar-like armor might have helped Alexander the Great (356–323 B.C.) conquer nearly the entirety of the known world in little more than two decades, according to new reconstructive archaeology research. Presented at the annual meeting of the Archaeological Institute of America in Anaheim, Calif., the study suggests that Alexander and his soldiers protected themselves with linothorax, a type of body armor made by laminating together layers of linen. I know that it is winter, and most of Europe is covered in thick snow, but now is the time to start thinking about the summer! If you have details of archaeological training excavations, or archaeological summer schools that you wish to publicise, please send us the details. The lake region in northern Belarus has evolved as a frontier environment since the earliest occupation. Far distances from any established Neolithic “strongholds” and the lacustral setting of the area led to the development of distinct forms of Neolithic-Bronze Age societies. Near the village of Asaviec, Beshenkovich district, five Neolithic-Bronze Age settlements were found north of a large turf massive and partially explored. The initial settlement was situated on a lake shore. Variations in the water level forced the settlers to gradually move the village uphill. As a result of climatic and social changes, the settlements were abandoned and eventually covered by a thick layer of turf. This created an anaerobic environment, which resulted in excellent preservation of wood, bone and horn artifacts. During the Neolithic (4th mil.- 1st half of 3rd mil. BC), inhabitants of Asaviec settlements were mainly hunters and gatherers, as is demonstrated by the presence of numerous hunting and fishing gear, bone remains belonging to animals, bird and fish, as well as broken shell fragments, remains of fruits and berries. Human ancestors that left Africa hundreds of thousands of years ago to see the rest of the world were no landlubbers. Stone hand axes unearthed on the Mediterranean island of Crete indicate that an ancient Homo species — perhaps Homo erectus — had used rafts or other seagoing vessels to cross from northern Africa to Europe via at least some of the larger islands in between, says archaeologist Thomas Strasser of Providence College in Rhode Island. Pigment-stained seashells, likely worn as necklaces by Neanderthals, suggest these early Europeans were not only stylish, but that they were also just as smart and crafty as humans in Africa were, according to a paper in the Proceedings of the National Academy of Sciences. The colorful mollusk shells, which date to 50,000 years ago, were recently found in Murcia Province, Spain. Since the shells were painted 10,000 years before modern humans are believed to have settled in Europe, this leaves little doubt that Neanderthals made the still eye-catching pieces. Scientists claim to have the first persuasive evidence that Neanderthals wore "body paint" 50,000 years ago. The team report in Proceedings of the National Academy of Sciences (PNAS) that shells containing pigment residues were Neanderthal make-up containers. Scientists unearthed the shells at two archaeological sites in the Murcia province of southern Spain.